This student submission comes from my former student Peter Buhler. His topic, from Geometry: deriving the distance formula. Although the distance formula may be introduced as part of the Geometry curriculum, it also has applications in Algebra and even Pre-calculus. This allows for many possible applications, as it can be used in various ways. One project that students could be assigned to is by modeling something in real life on a coordinate grid, and using the distance formula to calculate various distances within that real life object or place. An example of this could be to take a baseball diamond and use the fact that the bases are 90 feet apart, and calculate the distance between the corners on opposite sides. Another example could be to overlay a map of their town onto a coordinate grid and measure the distance between places that they usually visit. These students can fact check the distances by plugging them in to Google Maps. One aspect of this project to be careful of is to make sure that students are using the distance formula, and not the Pythagorean Theorem. Allowing the students to present their findings could spark curiosity into how mathematics is used in everyday life by city planners, architects, engineers, and in other careers. How has this topic appeared in high culture? The following piece of artwork was created by Mel Bochner and titled, Meditation on the Theorem of Pythagoras. While immediately this picture appears to be related to the proof of the Pythagorean Theorem, There are also applications to the distance formula. This artwork could be a great engaging activity for students as they come into class, simply by reflecting on what can be seen. A challenging question would be to ask students to guess how many hazelnuts they think the artist used to create this artwork (without counting each piece). It should be noted that each corner of the triangle consists of two corners of the squares, so the answer is not simply 9+16+25, but you must subtract off how many are shared. We can apply this to the distance formula by asking students how to relate the Pythagorean Theorem with the distance formula. Having students compare and contrast these two mathematical equations could provide excellent discussion. As an instructor, you can also overlay this artwork onto a coordinate grid and have students use the distance formula to calculate the various side lengths and confirm that it works. How was this topic adopted by the mathematical community? The three mathematics who are primarily responsible for what we know as the distance formula are: Euclid, Pythagoras, and Descartes. Euclid stated in his third Axiom that “it is possible to construct a circle with any point as its center and with a radius of any length”. This matters because the distance formula is a corollary of the circle formula. Pythagoras then took this idea, and proceeded to invent the Pythagorean Theorem, which can be easily converted to the distance formula. Later on, Descartes applied this to the coordinate system, in an event consisting of the union of algebra and geometry. While this material may seem fairly dry to middle school or high school students who are first learning the Pythagorean Theorem, there are certainly some applications that can make the history more appealing. One such application is to ask the students to connect the formula of a circle with the distance formula, and discuss how they are related. This would provide excellent discussion about how Euclid and Pythagoras may have begun their study of the distance formula. Another application could include assigning students to study one of these three mathematicians, and having them provide several interesting facts about the person they chose to study. Consequently, when introducing the distance formula, students will be familiar with those who had a huge impact on the development of the distance formula. This student submission again comes from my former student Cody Jacobs. His topic, from Algebra: parallel and perpendicular lines. Euclid is one of the most famous mathematicians of all time. His fame rests mostly on his 13 books commonly referred to as Euclid’s Elements. Euclid’s Elements are said to have a greater impact on the human mind that any other book except for the bible. Euclid contributed to the development of this topic based off the fact that his Elements have been used for centuries for teaching foundational geometry. The importance of Euclid’s books come from the minimal assumptions made, and the natural progression from simple results to more complex results. 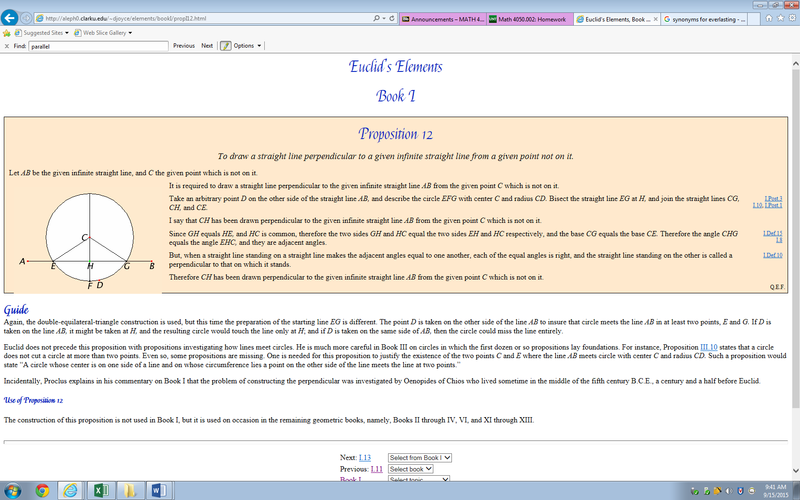 Euclid starts of listing 23 definitions and 5 postulates in which uses to prove theorems. His books contain over 400 theorems and proofs which layout the guidelines for how we use geometry today. Desmos.com is a great website website that allows you to pick out activities your students can do. They have some activities regarding parallel and perpendicular lines where students shift the lines to make them parallel or perpendicular. 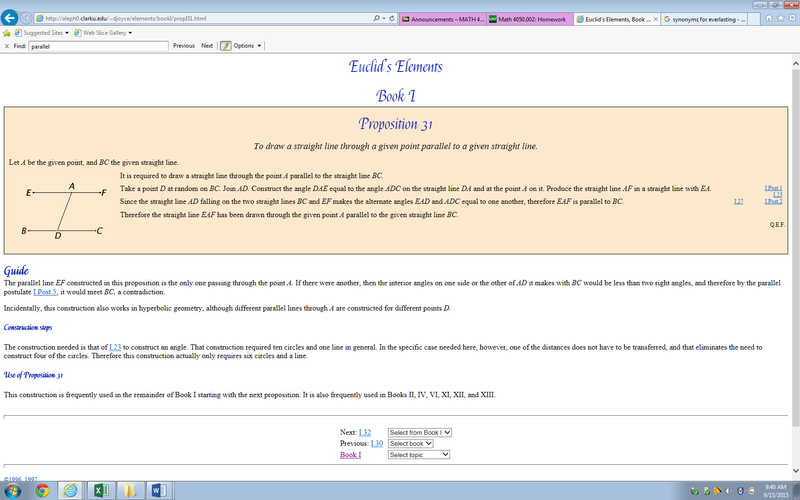 I have used this website before regarding parabolas and students are fully engaged. Desmos has plenty of activities to choose from to find the right fit for your class, so do not be afraid to look around for a while. You can sign in as a teacher and make a code for your students to get into the activity. There are even some word problems so you can get a better understanding of what your students are thinking. I think Desmos is best used at the end of a topic, more as a general review over everything because the activities go through topics pretty fast. Students will continue to use parallel and perpendicular equations throughout their mathematical career. I am now in vector calculus and I am still using parallel and perpendicular lines in 3-dimensional planes. With that being said parallel and perpendicular lines are not going to disappear as you go further into math, in fact you have to start using different methods to find the parallel and perpendicular lines the farther you go. Soon it will no longer be as simple as duplicating the slope or finding the reciprocal. Parallel and perpendicular lines also play a key part in physics regarding vectors just as they do in vector calculus, when you try to find equilibrium forces. This student submission again comes from my former student Emma Sivado. Her topic, from Algebra: parallel and perpendicular lines. D.1: What interesting things can you say about the people who contributed to the discovery and/or the development of this topic? I would take my students back to the time of Euclid of Alexandria, around 300 B.C., and his great book The Elements. Little is known about Euclid except the book he left behind which is the foundation of geometry, algebra, and number theory, still to this day. Euclid wrote this book in an axiomatic way, this means that he assumes common notions, definitions, and postulates to be true and then bases all his propositions and axioms on these assumptions. Does this sound like the way that we do mathematics today? To understand how influential and enduring the Elements is I would present this incredible fact; other than the Bible, Euclid’s Elements is the most published, translated, and studied of all books in the world. Now we would put on our Euclid caps and turn to Proposition 12 and Proposition 31. These propositions tell us how to draw parallel and perpendicular lines based only on the definitions, common notions, and axioms of Euclid. We would do the constructions step by step, straight out of Euclid’s Elements. A.2: How could you as a teacher create an activity or project that involves your topic? E.1: How can technology (YouTube, Khan Academy [khanacademy.org], Vi Hart, Geometers Sketchpad, graphing calculators, etc.) be used to effectively engage students with this topic? A great activity I found on parallel and perpendicular lines involves using a graphing calculator to discover the similarities in slope between parallel and perpendicular lines. First, you give the students a list of equations to graph on their calculator. Next, you ask them to compare the graphs and identify which lines are parallel and which are perpendicular. Last, you ask them to compare the slopes of the parallel and perpendicular lines. Hopefully, they will discover that parallel lines have the same slope and perpendicular lines have the opposite reciprocal slope. This activity can be done easily because the students should already be familiar with graphing calculators, slope, and y-intercept. The activity would not take much time and can easily be differentiated based on the skill level of the students in your class. You can give some students difficult numbers or more lines to analyze if they finish the initial activity quickly. Also, you could take this one step further and give the students large sheets of graph paper and let them draw the lines and present their findings in front of the class. This student submission again comes from my former student Shama Surani. Her topic, from Geometry: deriving the distance formula. A) The total round-trip distance (Earth, Mars, Neptune, Earth) in billions of kilometers? B) The round trip time in hours? I believe this problem is an interesting one to ask the students because I believe this question will pique the interests of the students especially if a video clip or visual is presented to grab their attention. This question allows me as a teacher to assess what the students know, and if they can apply the previous concepts learned to this new concept. By the end of the lesson, the students will be able to find out the total distance, and also apply previous concepts with distance = rate * time to figure out how many hours the round trip took. By the end of the lesson, the students will be able to answer these questions. This problem builds on previous concepts taught so students can tie and see the connections among all topics. A2. How could you as a teacher create an activity or project that involves you topic? As a teacher, I can create an activity or project that involves the distance formula. I will provide a map of the United States, and have the students plan a trip across the USA covering at least 10 states, and making pit stops along the way of places they would want to visit, such as the Grand Canyon, Las Vegas, etc. The students will have to find the distance of the total trip, as well as the distance between each pit stop. This activity helps the students practice the distance formula while allowing the students to become familiar with the United States and interesting locations to visit in the United States. The students will know be able to see how the calculating distance is related to real life. Pythagoras, Euclid, and Descartes are the three main mathematicians who are most responsible for the development of the distance formula. Pythagoras is acknowledged by many scholars as being the one to have invented the distance formula although much record in history has been lost during this period. He was born around 570 B.C. in Samos. As a Greek mathematician and philosopher, he traveled to other parts of the world to learn from other civilizations, and he always was seeking the meaning of life. Pythagoras was amazed with distances as he travelled to Egypt, Babylon, Arabia, Judea, India, and Phoenicia. He is the one credited for one of the first proofs of the Pythagorean theorem, a2 + b2 = c2. The distance formula is derived from the Pythagorean theorem. Euclid, known as the father of Geometry, also contributed to the distance formula. His third axiom states, “It is possible to construct a circle with any point as its center and with a radius of any length.” If one considers the equation of a circle, x2 + y2 = r2, one will notice that the distance formula is a rearrangement of the equation of a circle formula. Renee Descartes was the one who developed the coordinate system that allows connection from algebra to geometry. He took the concepts of Euclid and Pythagoras in order to relate the radius to the center point of the circle. Essentially, Descartes came up with the equations used for circles and distance between two points that are used today. This student submission again comes from my former student Rebekah Bennett. Her topic, from Geometry: finding the area of a circle. The area of a circle is used in our everyday life. Landscaping uses this topic quite a bit. Suppose a person wants to put a circular pool or even a fountain in their yard. The landscaper needs to know the area of the basic circle that is being used so that they can make sure there is enough land to build on. We also know contractors use this everyday too. When building a circular building, the contractor needs to know the area of the base of the building so that he/she can clear a big enough area. They also use this when building circular columns, such as the ones you would see on a big, fancy building. The contractor must know how much area the base (circle) takes up to see how much of the platform they have left to work with. Then he/she can now see how many evenly spaced columns will fit on the platform. A room designer also comes to mind. Let’s say if someone wanted a circular table placed in their living room, the designer needs to know how much space (area) the table takes up in order to figure out how much area is left in the room to fit other items comfortably. These are all instances where someone in the artistic world would need to use area of a circle. To explore this topic, I would give each student a cut out of a circle, each circle having a different size. Then I would tell them to figure out the area of the circle. I would give them hints as to how would you use the radius, diameter, and circumference within a formula. I would suggest the idea of splitting the circle into even pieces, and then ask the students if there is a way that they can transform the pieces of a circle into a more familiar shape. The students would have about 5 minutes to experiment on their own and then I would show them this video. This video shows the students a more in depth definition of area of a circle. The video actually derives the formula from the normal area formula of a parallelogram (base x height). Here we pull the whole circle apart, piece by piece to create a parallelogram. The video relates height to radius and base to ½ of the circumference. These are both previous terms that the student already knows. The guy in the video manipulates the area formula for a parallelogram to derive the area of a circle. This video is a great way to show students that there is more than one way of solving for the right answer but also more importantly, it shows where the formula for area of a circle actually comes from. This gives the student a justification as to how and why we created this formula, relating back to the exploration. After watching the explanation from the video, the students would now have a chance to replicate the demonstration with their original circle. By having the students recreate the video demonstration themselves, it gives them a better understanding as to why the formula works like it does and they can see how the formula works with a guided hands on approach. From previous math courses, the student should already know the terms of a circle such as; radius, diameter and circumference. 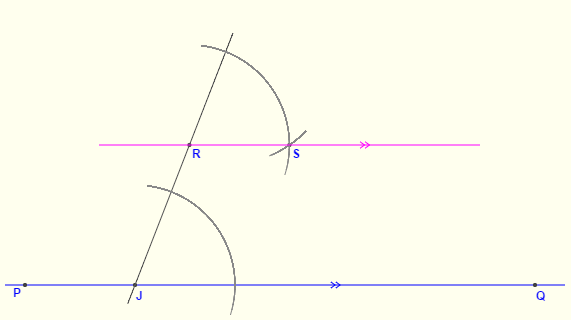 The student should know how to find the radius given the diameter, vice versa. The student knows that the circumference is the perimeter of a circle and how to find it, given the radius or diameter. They should already know the term area: space that an object takes up. The student should know how to find the area of a rectangle and parallelogram: (length x width) or (base x height). This activity shows how to relate the area of a circle to the area of a rectangle, given the radius and height, which is the same thing. The student can now create a formula for the area of a circle by using the same method as solving for area of a rectangle or parallelogram. The area of a circle extends the previous knowledge that every student should learn in algebra before entering a geometry class. This student submission again comes from my former student Isis Flores. Her topic, from Geometry: introducing translation, rotation, and reflection of figures. B2: How does this topic extend what your students should have learned in previous courses? In order for students to be able to be successful understanding, performing, and identifying translations, rotations and reflections there are a few things that they must have a grasp on from previous classes. Included in these topics is understanding the Cartesian plane and the different relationships between each quadrant. Knowledge of the plane will be extended when students began to work with different degrees of rotations around the plane. Students should also be able to perform several different tasks on the plane such as, plotting points and lines. Being able to perform such tasks will ease the transition of now working with more complex shapes on the plane. Since the topic deals with transformations of figures students must also have an understanding of the basic geometric figures and their different characteristics and classifications. 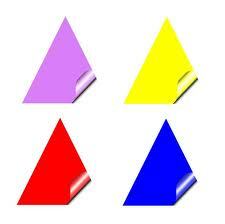 Having a base knowledge of geometric shapes will aid the students when comparing different types of transformations. In previous courses students should also have acquired knowledge of the basic mathematical operations, (addition, subtraction, multiplication, division), which will enable them to perform specific dictated transformations better. The concept of basic mathematical operations will be extended to students as they explore how these operations may play out on a coordinate plane with geometric figures. In any classroom there is always a variety of students with a variety of interests. One of these interests may include art, which can lend itself quite easily to the exploration of different transformations. 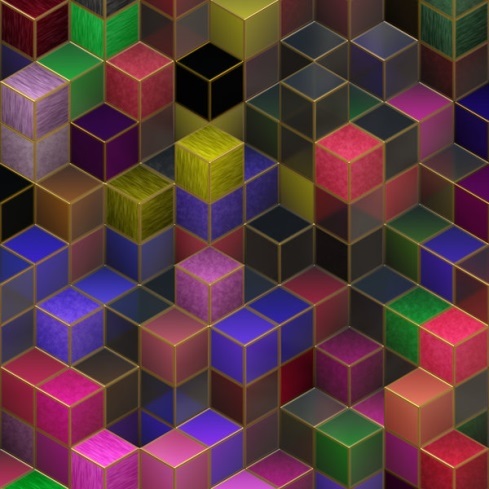 A specific type of art which uses translations, rotations and reflections is called Geometric Abstraction. Geometric Abstraction became widely popular in the early 20th century making it an even closer connection for students. The art form uses different types of geometric shapes to create abstract and quite modern looking pieces of work. The fact that the art form is quite new compared to other forms of art does not prevent pieces from being high end items, and the monetary aspect may be another way to engage students. Showing students different pieces of art which were composed using geometric transformations and also showing how highly priced they are, is a great way to show the relevancy and demand for the topic. As a teacher at times it is difficult to get students motivated and excited about a specific topic. A great way to give students motivation towards an activity is to give them a bit of autonomy. For translations, rotations and reflections a project that students may perform may be their own art work which would display their knowledge of the content. To even personalize the project even more students may be ask to include an object which is personal to them, for example if a student play soccer then a soccer ball would be an appropriate object for their art work. Students may be asked to also provide directions on their art work so that a classmate may replicate it. Perhaps to take a step further students may analyze each other’s art pieces and try to figure out what order of transformations created the finished piece. For students who may not feel as artistically inclined, or even as another class project, the option of going and finding a real life depiction of transformations may be offered. Students should provide evidence of their findings with an image. The task can be furthered challenged by asking students to find something in their school which depicts transformations. The first project will require students to show their proficiency in performing the transformation, while the second will call on them to show their understanding of what each transformation looks like. This student submission again comes from my former student Christine Gines. Her topic, from Geometry: deriving the midpoint formula. Finding the midpoint between two points is a fairly common situation we find ourselves in daily. Take for example cutting a sandwich into two equal halves. Here you are estimating the midpoint between the ends of the sandwich. Maybe you want the bigger half of the sandwich though. In this case you first find the middle and then move slightly away. Whether we realize it or not, finding midpoints happens all around us and bringing this to students’ attention is crucial for their development of connections. One way to aid these connections is to demonstrate how midpoints appear in our cultures. In particular, I found a popular music video “Meet Me Half Way” by The Black Eyes Peas. The video/song is about Fergie and Will.I.Am being apart and missing each other. Fergie’s solution is “Can you meet me halfway? Right at the borderline. That’s where I’m gonna wait… for you.” Fergie and Will.I.Am’s beginning locations are the endpoints in this scenario and they will meet at their midpoint. In the video, Fergie has already reached midpoint. Here, her lyrics are “Took my heart to the limit, and this is where I’ll stay. I can’t go any further than this.” This can be interpreted as a unique midpoint. If Fergie goes any further, she will no longer be at the midpoint. Her limit is the one midpoint. At the end of the video, Fergie and Will.I.Am are reunited at their midpoint. After this connection is made, it could be reinforced by giving students specific coordinates of Fergie and Will.I.Am and asking students to find their midpoint. For example, Fergie and Will.I.Am were shown to be on different planets in the video. So, the teacher could give them the coordinates to Jupiter and the earth. If they succeed with this problem, a follow up could be to find the endpoint when you have Will.I.Am’s endpoint and their midpoint. 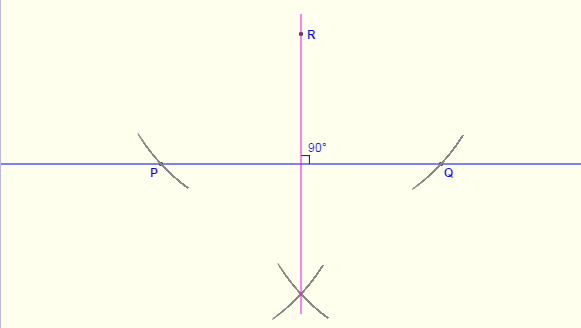 In this activity students will Investigate finding the midpoint of a line segment and derive the formula for the midpoint of two points on a coordinate plane. Have students work in groups of 3 or 4. Each group will have a sheet of large graph paper, markers, a ruler, dice and a penny. Students will find two points by rolling dice and tossing penny (Dice represents number and penny represents positive or negative) and plot them. They will draw a line to connect these two points. Next, students can use the ruler to estimate where the midpoint should be. Have students investigate ways to accurately find the midpoint of the segment and challenge them to find a formula as well. What could you use to represent the numbers so you can write a formula? How did you find that midpoint? Are you sure that is really the midpoint? How can you find the number in between two different numbers? I don’t know about you but I’ve always thought the best educational games are the ones that actually feels like a game and not just something your teacher is making you do. This is exactly how the game “Entrapment” by The Problem Site feels like. Entrapment is actually a puzzle game. The object of the game is to create line segments such that all the given dots are midpoints to these segments. More specifically, every red dot must be the midpoint of a line segment connecting two gray dots on the playing field. In the image above, the player is one move away from finishing since there remains one red circle which is not a midpoint. This puzzle is not only addicting, but it teaches students to recognize the relationship of x and y (individually) to the midpoint. After completely only a few of these puzzles, this relationship becomes part of your strategy, which in turn pushes students further away from memorization and brings them closer to comprehension. This puzzle brings all these educational benefits, yet it just feels like you’re playing a game!